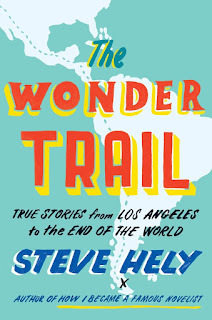 The Wonder Trail by Steve Hely: Incas! Ayahuasca! Many Varieties of Hot Chocolate! With this book, Steve Hely reestablishes himself as one of my favorite authors after a years-long dormant period between this book and his last, How I Became a Famous Novelist. The Wonder Trail is a travel narrative as he journeys from Los Angeles all the way down through Central and South America to the southernmost point. One of my favorite things about Mr Hely is that he is a giant nerd. A big giant nerd who not only references the most obscure but still relevant texts throughout his narrative, but also lists them at the end in case you were wanting to read them. 'And why wouldn't you?' he probably thinks. But he was right and before I found that list, I'd written down 8 books he mentioned, including Breaking the Maya Code, Down and Delirious in Mexico City, and the Florentine Codex, which is super old and "[t]he gods, the ways of living, hunting, fishing, lush drawings of plants. Old legends and stories. Beautiful princesses, styles of clothes, beautiful landscapes of special places" all related to the Aztecs (also called the Mexica here). Did I know about this book before? No! But now I do. Because of The Wonder Trail, I want to visit Machu Picchu, 'cause it sounds damn magnificent. I sort of want to see the Amazon, but I'm also thinking that in all these places I will get kidnapped/murdered. While I very much enjoy reading about other people going places, I am terrified to do so myself if they are not very splendidly touristized already with a Starbucks a maximum of 1 mile away. Which is why travel narratives are so perfect. "What a fantastically wonderful place that is! I'll go there someday!" I can say to myself, all while secretly planning to really go to Plymouth, Massachusetts and stare at the rock the Pilgrims might have stepped on or however it's related to them, then eat some french fries in a cafe 50 feet away while checking Facebook. This is why I am very aware I will not survive the zombie apocalypse, and have reconciled myself to that fact. Yes! He DOES keep talking about history! And guess what my high school never taught me? Yeah, that'd be the history of Central & South America outside of some reference to Montezuma while mainly focusing on the conquistadors. I came away from this knowing about the bounty of hot chocolate flavors in Mexico City, the reason Colombia is bananas (in a very generalized way -- the whole book's not very long, what do you want), what the hell the Darién Gap is, and how they built the Panama Canal. But how much can you expect of one person. 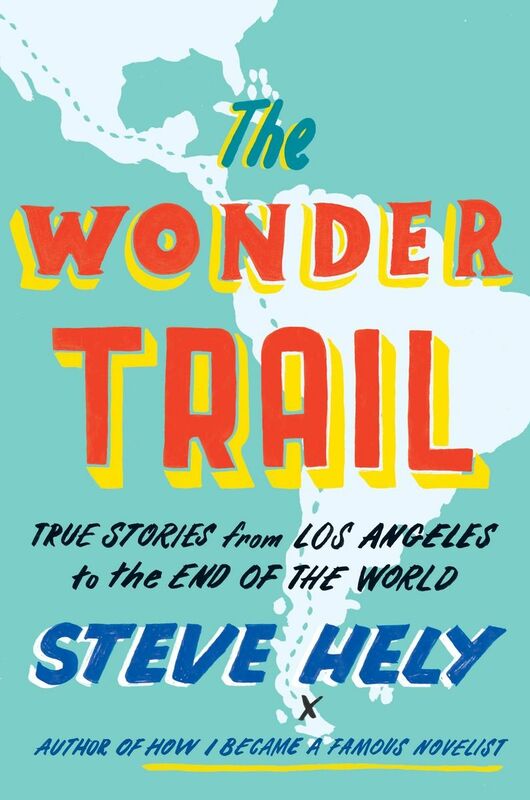 The Wonder Trail by Steve Hely: Get it. Read it. Love it. Maybe travel to South America.